Teachers who integrate information and communication technologies (ICT) to their practice in rural areas face important challenges that differ from those where contextual conditions are most favorable. The purpose of this chapter is to describe how and why a phenomenological research approach applied to the reconstruction of rural teachers' experiences in incorporating ICT's to their practice can be helpful for both, for research purposes as well as for inspiring the avenues that rural teacher education in the digital age should follow. Based on the narratives of eight teachers working in poor rural schools of Mexico, this chapter describes how, as part of a construction of their own rural pedagogies, these teachers integrate ICT to their practice in response to three levels of contextual demands. Lessons learned and recommendations for research of this kind are provided. The Digital Age has certainly transformed our societies in a way that has changed how we interact in many spheres, be it socially, economically or productively (Castells, 2004). Nevertheless, the digital divide still exists and teaching with technologies continues to be a challenge, given that we still have so much to learn about how teachers build the necessary knowledge to integrate information and communication technologies (ICT) in an appropriate way to their practice. In the educational arena, this gap becomes an important concern since, ideally, all schools should be allowing students develop the necessary skills to become part of a society where these tools tend to be present in almost any aspect of our lives, as has been shown by several studies (Trilling & Fadel, 2009; Morin, 2007). 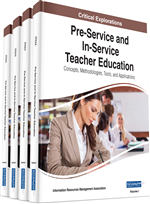 Moreover, another gap is present between pre-service teacher education and the demands of rural contexts, which new teachers are frequently not ready to face. Teachers who integrate ICT into their practice in rural areas face important challenges that differ from those where contextual conditions are more favorable. Bearing in mind the premise that the editors of this handbook state that “teaching with technologies is complex, multi-faceted, and situated,” the processes that take place in rural settings are research topics worthy of study. The purpose of this chapter is to describe how and why a phenomenological research approach applied to the reconstruction of rural teachers' experiences in incorporating ICT into their practice can be helpful, both for research purposes and for inspiring the avenues that rural teacher education in the digital age should follow. To accomplish this purpose, we present a case study based on the narratives of eight teachers, which describe how they integrate ICT into their practice, as part of the construction of their own rural pedagogies. These experiences occurred in extremely poor rural schools in Mexico and are presented according to three levels of context.